A therapy dog is a dog that might be trained to provide affection, comfort and love to people in hospitals, retirement homes, nursing homes, schools, hospices, disaster areas, and are defined but not covered or protected under the Federal Housing Act or Americans with Disabilities act. They also do not have public access rights with exception to the specific places they are visiting and working. Typically the dog would be granted rights by individual facilities only. 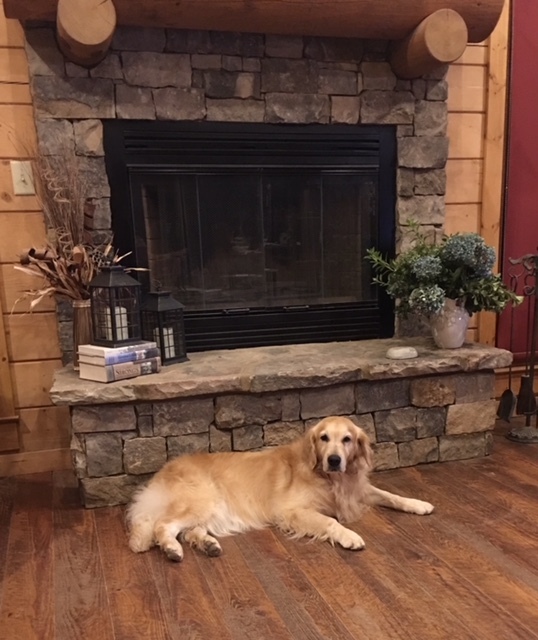 The systematic use of therapy dogs is attributed to Elaine Smith, who noticed patients positively responding to visits by a chaplain and his Golden Retriever. In 1976, Smith started a program for training dogs to visit institutions. Therapy dogs are usually not assistance or service dogs, but can be one or both with some organizations. 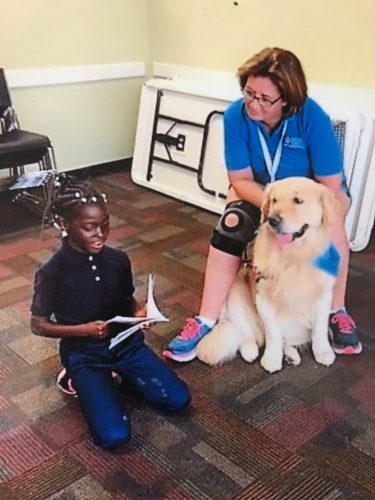 Many organizations provide evaluation and registration for therapy dogs, sometimes with focus on a particular therapeutic practice such as reading to dogs. 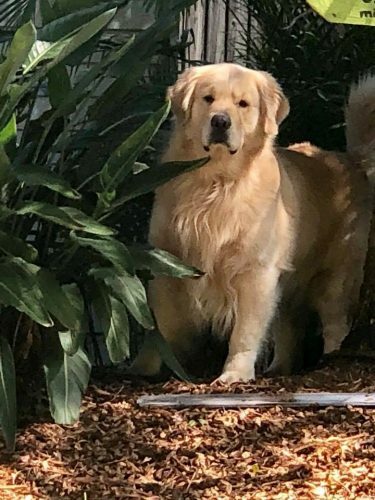 Common breeds used in therapy dog application and research includes Golden Retrievers and Labradors. Therapy dogs are not limited to a certain size or breed, the main factor that is important is their temperament. The dog must be friendly and patient, and be at ease when certain situations occur. Therapy dogs should be okay with being petted and cuddled, even if a stranger does so. There are certain things to look for before choosing which dog is right for you. 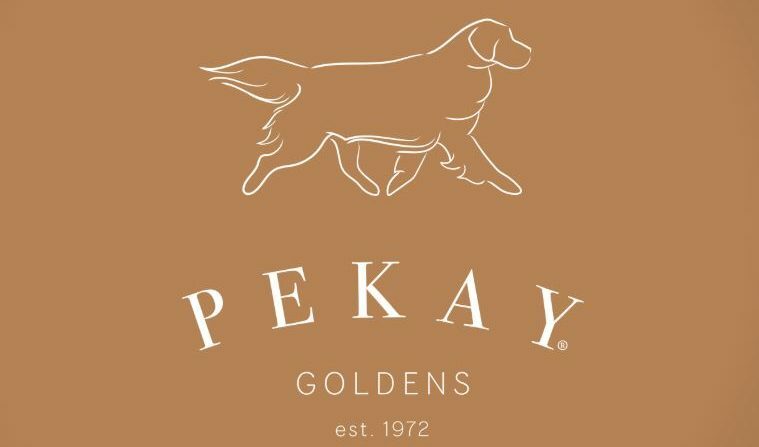 We have many Pekay puppies, both past and present, who have gone onto become successful therapy dogs. Below we are highlighting two superstars who are currently active in their neighborhoods. Sue Ellen is 7 years old and shares her canine love in the North Georgia area. R.E.A.D.- Sue Ellen goes to three different venues where children/students come READ to her: Lumpkin County Elementary School, Blackburn Elementary School and the Lumpkin County Library. There have been significant gains in the reading levels of students through participating in the READ program. Students are selected by the teachers to participate in this program. Cracker is three years old and was certified through Bright and Beautiful Therapy Dogs, a national organization. He resides and “works” in the Sarasota/Manatee area of Florida. 12th Judicial Circuit Court-Sarasota, Manatee and Desoto FL.Cracker attends court hearings for both juvenile and child dependency court on a weekly basis. Tidewell Hospice-providing pet therapy in individuals homes and hospice house. 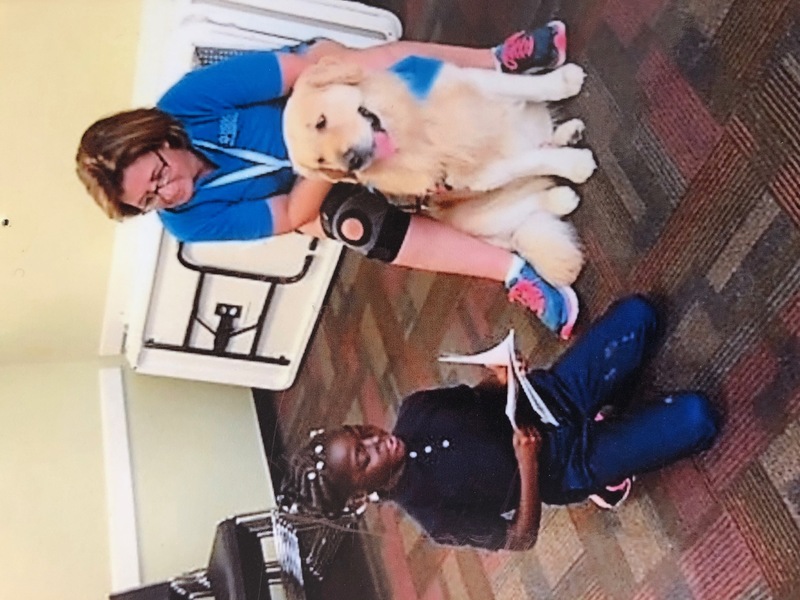 Sarasota Humane Society pet therapy team-attends a local library on a weekly basis where local children read to the dogs. PAWS member of Child Protection Center in Sarasota. Providing canine love for abused and neglected children in a court setting and supervised visitation.